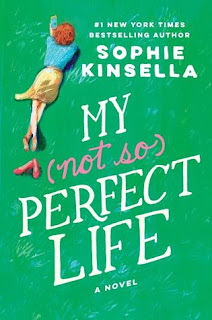 Truly this novel delivers what you would expect from Sophie Kinsella: loads of laughs and cringe-worthy moments with the emotion sitting right there for the taking. 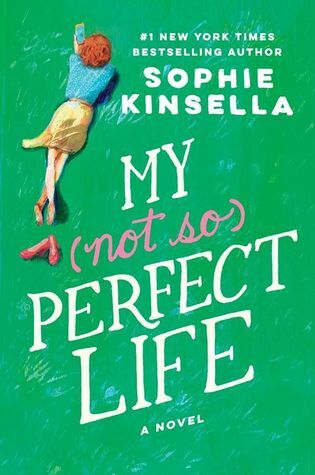 My not so perfect life has 20-something Katie desperately trying to make her life as fantastic as her social media accounts are portraying. Our current society seems to have us vying for the best life and Katie has fallen into that trap. At the heart of it all though Katie is just trying to attain the career she really wants. She’s put herself through school, moved to London and is still living like a student trying to get herself in the door of a branding company so she can start her career. She’s determined, resourceful and full of intensity and I would imagine she represents many a 20 year old currently trying to use their education to get a good job in their own field. I was rooting for her and had so much empathy for her. Katie’s nightmare of a boss, while thoroughly amusing for the plot, turned out to be much more in depth a character than I was anticipating. Kinsella gave her a backstory and a future and we were given a lot of detail about her life. While I wanted to hate her I couldn’t continue the charade once I knew more about her. She represents women who are trying to balance career, motherhood and being a wife which I related to myself on a few levels. With these two women navigating their jobs and lives there are also some wonderful side-characters- Katie’s father and stepmother for example whose farm came alive and added a nice change of pace to the plot. I really felt relaxed during those parts of the book when we were glamping in the British countryside! The one thing I felt was missing was a confidante for Katie (apart from her parents because she is quite determined to shelter them from her truth). Not having that one friend though only served to highlight how much we can add fictitious sparkle and glitter to our lives when we’re only relating to others online and how much in person relationships really do matter.